I wrote in the previous article about exciting progress in the world of Pure Shift NMR experiments. Once the preserve of those with a LOT of sample, the field is moving forward and now finds itself in the domain of every-day problem solving. 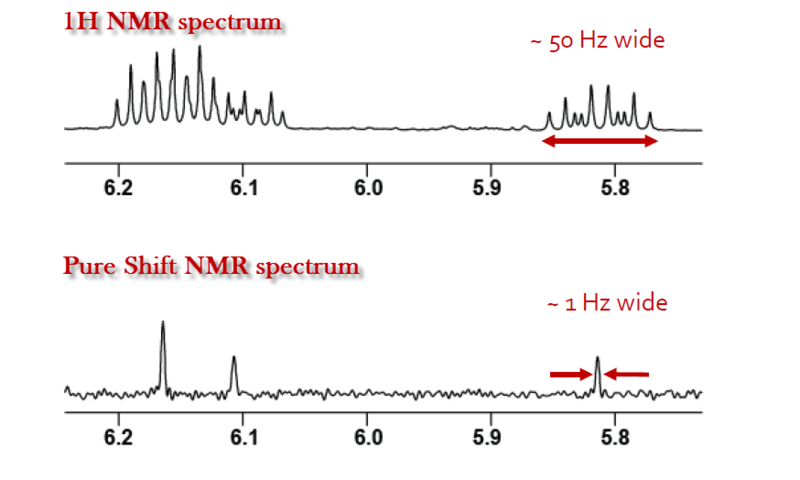 Dr Juan A Aguilar Malavia (Durham University) has some very nice examples of this, and has very kindly annotated his talk from the recent UK NMR Managers’ Meeting in Nottingham, and allowed us to publish it here. I am sure you will be as impressed as I was! Our sincere thanks to Juan.